Engage Dominican Republic is located in the capital city of Santo Domingo. 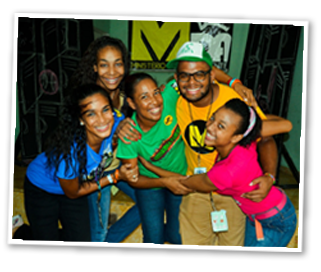 Site Directors Missionaries Berly and Jamie Bello are directors of the National Teen Ministries (MDA Ministerio de Adolescentes) and Uconexion University Ministries in Santa Domingo. Engage students will live and minister at the Puente Community Center, one block from the UASD university of 180,000 students. The Puente Center is the base of operations for Uconexion and is open to university students weekdays from 9am to 5pm. 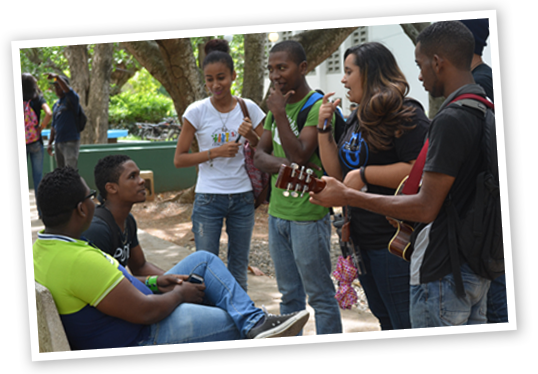 Engage students will work side by side with Dominican student leaders in university ministry and work with youth leaders in ministering to teens in the local church. There are also opportunities for video editing, social media promotions, website hosting, administrative assistance, use of musical, artistic and dramatic talents and teaching English. Most weekends will consist of on-going ministry in a local church where Engage student can volunteer in their area of interest. Spanish classes will be included in the fall and spring semesters.